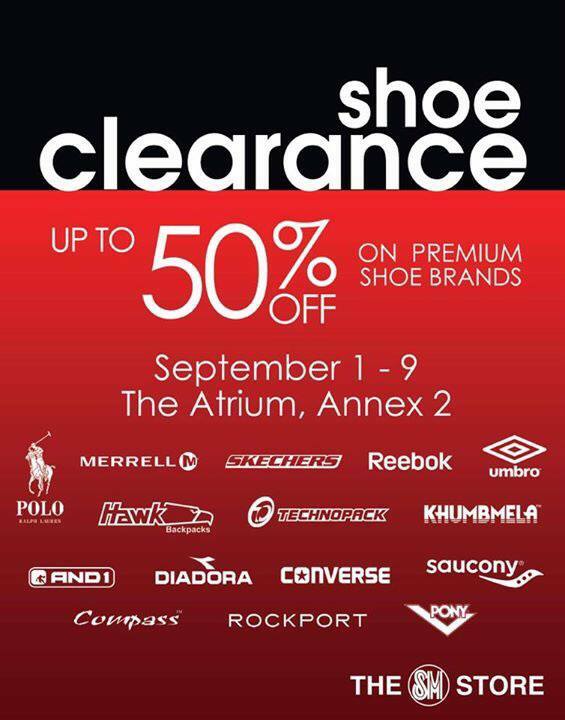 SM Fairview's Bag & Shoe Clearance SALE happens until September 9, 2016 at The Atrium, Annex 2 of SM Fairview. Get up to 50% off on your favorite premium shoe brands. Polo, Merrell, Skechers, Reebok, Umbro, Hawk, Technopack, And1, Diadora, Converse, Saucony, Rockport, Pony, and more!